A cooperative boating safety assistance program with the Coast Guard. Sufficient patrol and other activity to ensure adequate enforcement of applicable state boating safety laws and regulations. A state boating safety education program that includes the dissemination of information concerning the hazards of operating a vessel under the influence of alcohol or drugs. A marine casualty reporting system. All states and U.S. territories participate in the RBS grant program. Alaska received conditional approval of its program in 1999 pending enactment of additional legislation. One-third allocated equally among participating states. One-third allocated in the same ratio as the number of vessels numbered in the state bears to the number of vessels numbered in all participating states. One-third allocated in the same ratio as the amount of the state's prior-year expenditures for boating safety bears to the total prior-year expenditures for boating safety of all participating states. A state cannot receive more than one-half of the total cost of its RBS Program, and must provide matching funds from general state revenues, undocumented vessel numbering and license fees, or state marine fuels taxes. 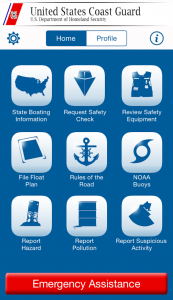 Providing facilities, equipment, and supplies for boating safety education and law enforcement, including purchase, operation, maintenance, and repair. Training personnel in skills related to boating safety and to the enforcement of boating safety laws and regulations. Providing public boating safety education, including educational programs and lectures, to the boating community and the public school system. Acquiring, constructing, or repairing public access sites used primarily by recreational boaters. Conducting boating safety inspections and marine casualty investigations. Establishing and maintaining emergency or search and rescue facilities, and providing emergency or search and rescue assistance. Establishing and maintaining waterway markers and other appropriate aids to navigation. Providing state recreational vessel numbering and titling programs.